Federal Way is more than a provincial city now. The new investors coming in the town managed to change the face of it completely, bringing new technologies and management strategies. Being a steady presence with our driveway gate company in Federal Way for a long time now, we have anticipated the needs of our customers, and the new requests and demands of Federal Way’s citizens. At least in our niche, we are trying to be the best driveway gate company in Federal Way, offering only quality services that are guaranteed to last for a lifetime. We are proficient gate repair specialists not just because we do our job right but also due to our consistency. When advocating that we have no limitations in terms of our professional capacities, we really mean it. Staying truthful to our customers and taking care of their problems as fast as possible is a promise you can rely on. Dedicated technicians take care of urgencies by providing same day gate service and troubleshooting the system thoroughly. They have expertise, immense knowledge, and travel equipped in order to take care of hinge, wheels or chain issues immediately. 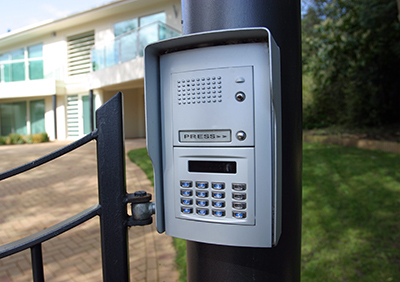 Likewise, possess exceptional gate replacement and installation skills and are aces in intercom repair. Worn parts are replaced as fast as possible and gates are serviced with tremendous care. Our driveway gate company in Federal Way can offer services for any residential home or commercial business. We here at Phone Entry Systems/Intercom Company urge you’re to have phone entry systems/intercoms installed. The phone entry systems/intercom is a wonderful product for you, your family or businesses safety. When visitors come to your home you’ll now have the product to see who that guest is, or talk to them yourself and decide whether or not to let them into your driveway and home. We have a wide choice of these phone entry systems/intercoms and we’ll be happy to help you decide which the best fit is. Give our Phone Entry Systems/ Intercom Company in Federal Way a call today and let us install one for you. The keypads telephone entry systems comes in a wide choice also. This system will let you to be sure that you know who you’re allowing into your driveway or business. These systems give you that ability to speak to the person at the gate before you push that button to open the gate. Some of the brands that we at the driveway gate company carry are Elite, DoorKing and Linear. Let us talk about our Residential telephone entry systems A Residential telephone entry systems gets wired inside your house. Guests, customers or employees who come to the gate will touch a button and it will be received in your home. You are then able to put in the code to let them in if you desire. If you own a business or have multiple people living or coming and going from your home you can give individual codes for them. These are great for residential homes, commercial business especially hotels or even gated communities. We would be happy to take your call today at our driveway gate company in Federal Way; we’re ready to install a system that suits you. 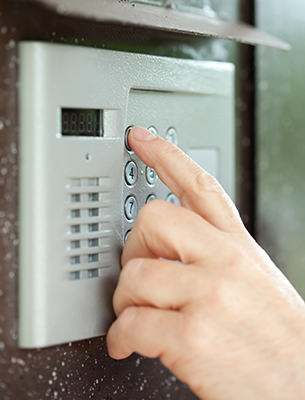 Our Phone Entry Systems/ Intercom Company in Federal Way can do all kinds of repairs and installations for you with all parts of your gates and fences. We install fences, gates, gateway openers and much more. We can do repairs on these items also if you already have them. Our driveway gate company can repair the springs on your gate, we can repair the swinging gate and the sliding gate. We can also customize gates to your liking and we do all welding services. We also do a lot of iron work. A few of the items that we make in iron is Window Guards, Security Doors, Guards & Railings, Pool Enclosures, Cages, Dog Runs, Pipe Corrals, RetainingWalls, Fences and Doors/Gates. Please call us today and let us show you why we are the best in Federal Way.